Yesterday I had a girls’ night at the summer cottage with two of my good friends and my dog Kaylee. 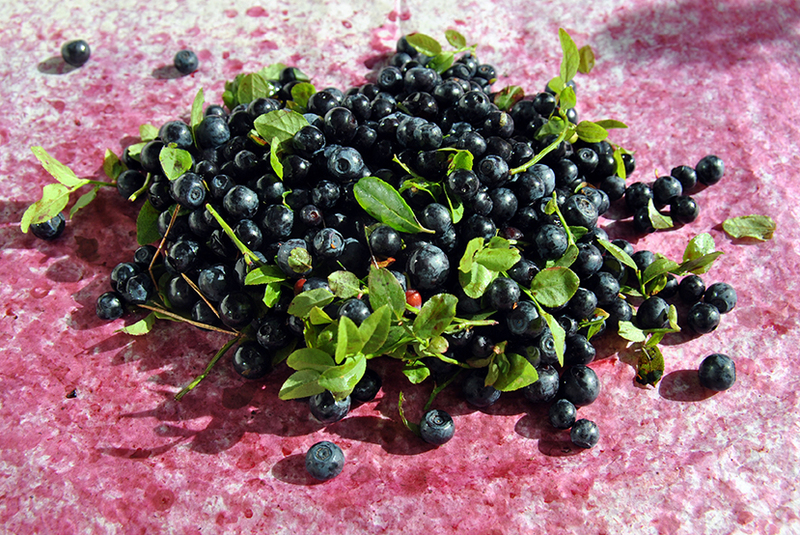 After the berry picking afternoon we headed to the local pub for a well-deserved drink and later made sauna and barbecue until late at night. We went to bed rather late and slept in… yet I was the first one to wake up so I sat at the door step with my dog and enjoyed a large mug of coffee. 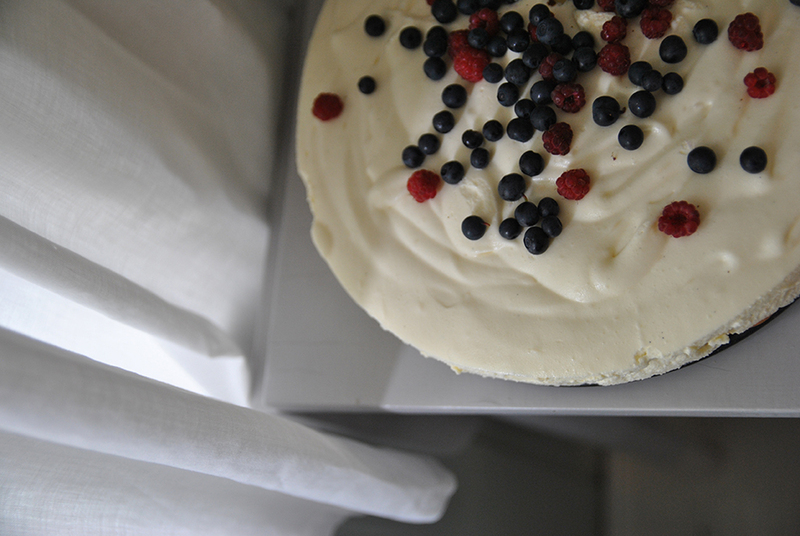 For the lazy morning breakfast I had prepared some tiramisu berry cake beforehand. 😉 I wanted to create a cake that could be prepared without an oven and would serve as a good base for fresh berries. I think that I really succeeded in that! Tomorrow I’m still gonna try coating the whole thing with a jello gloss.